Read on to find out more and see heaps of gorgeous pics! 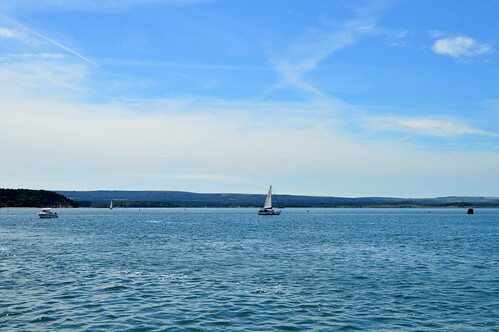 As we were only on a 5-day trip in the South of England (Wiltshire & Dorset), we had to make choices… but I really wanted to see the coastline so I did some research and I decided that Swanage would be a perfect base for a day at the coast. 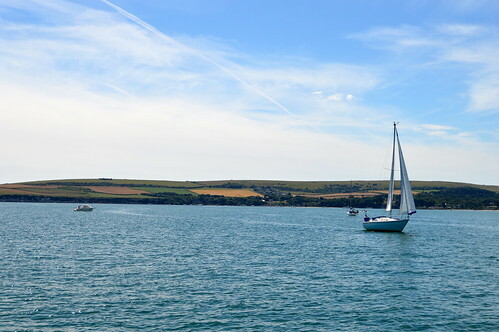 To get the most out of our daytrip, we drove off at 8:30 as Swanage was about an hour’s drive from our holiday home. We parked our car at the long stay parking at Victoria Avenue and started our day with a bit of a stroll to see this coastal town come alive on a hot and sunny summer’s day. But more on Swanage next week! 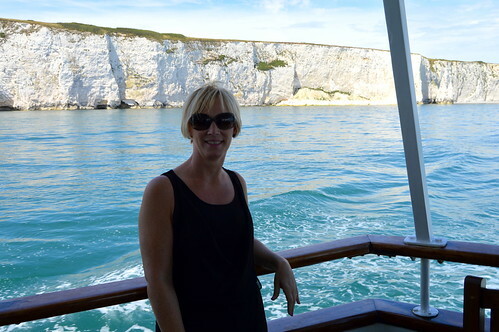 In today’s travelpost I will concentrate on the boat trip we did from Swanage to Poole and back. I had searched the web (as I always do to prepare my trips and holidays!) 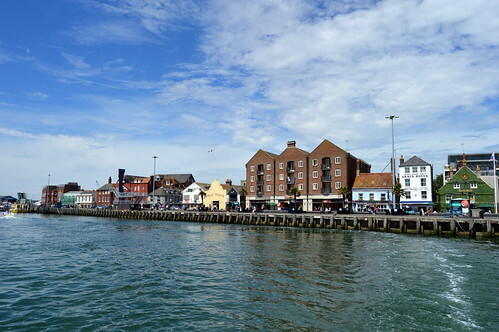 and found that City Cruises Poole offer various boat trips including one between Swanage and Poole. 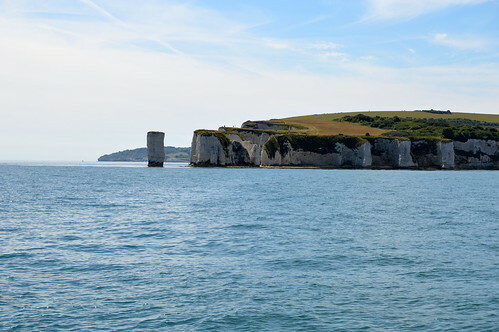 This boat trip gives you the opportunity to see the Jurassic Coast up close and personal. 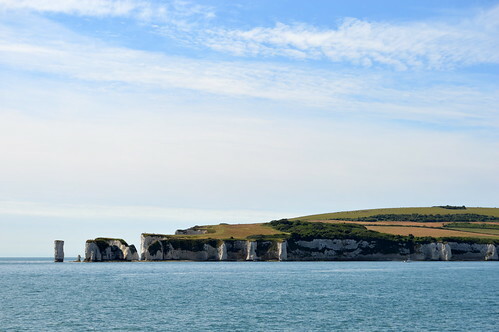 The Jurassic Coast is a World Heritage Site and stretches over 150 km. It covers 185 million years of layers of sedimentary rocks, which now result in spectacular rock formations. 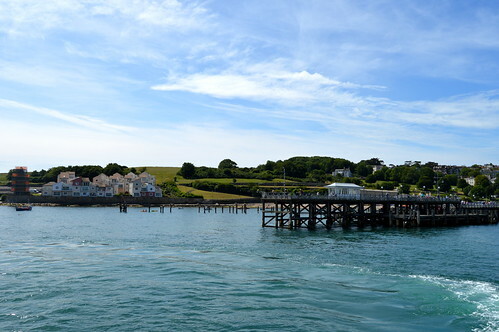 As we left the charming Swanage Pier, the captain navigated the boat out of the bay. 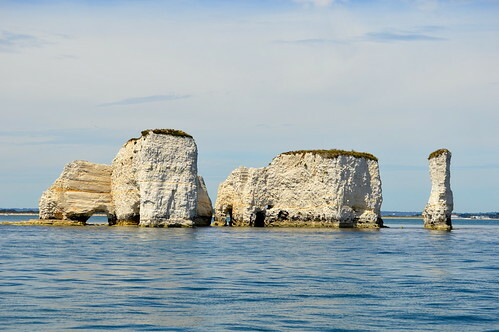 We quickly came across ‘Old Harry’s Rocks’, a collection of rocks created by the erosion of chalk and named after Poole’s most notorious 14th century pirate. 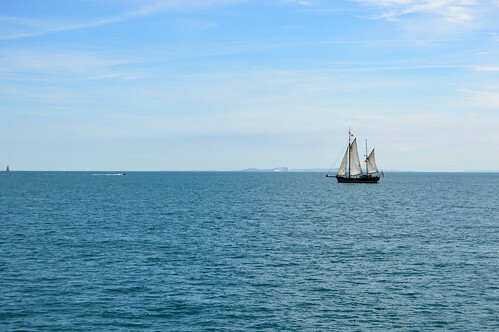 On the other side we could see the English Channel stretching out in front of us and as it was a very clear day, we could see all the way up to the Isle of Wight. In the distance you can see the Isle of Wight. 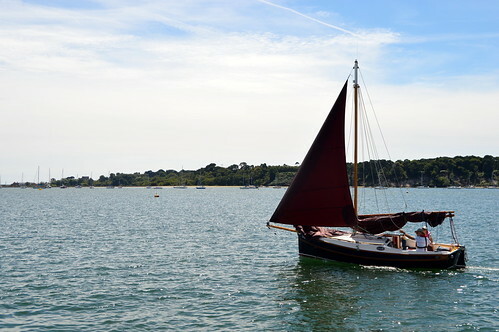 Soon we entered Poole Harbour. 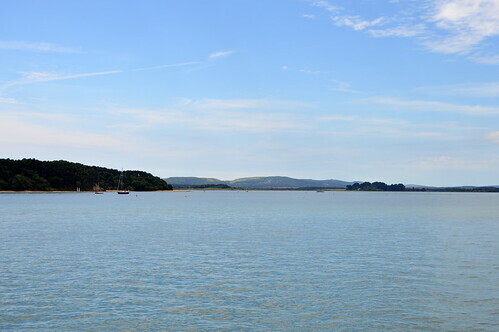 Poole Harbour is the second largest natural harbour of the world (after Sydney). 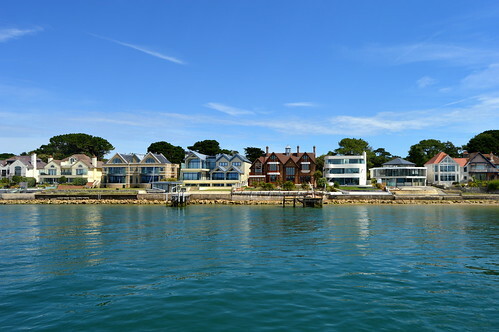 As the harbour is so beautiful, it attracts of course the rich and famous and we saw some mansions which made our jaws drop! 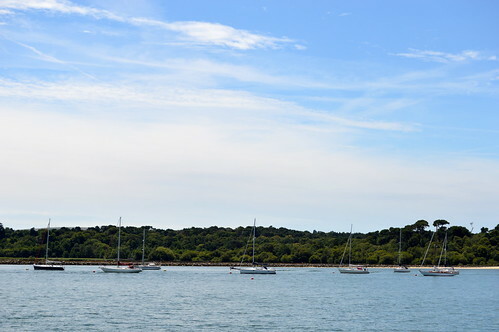 There are several little islands situated in Poole Harbour like Brownsea Island, on which Brownsea Castle is situated. 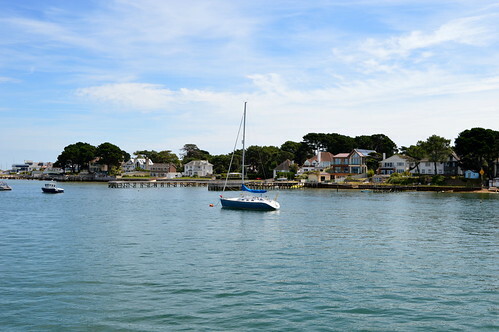 After a short stop in Poole Harbour, the boat brought us back to Swanage. 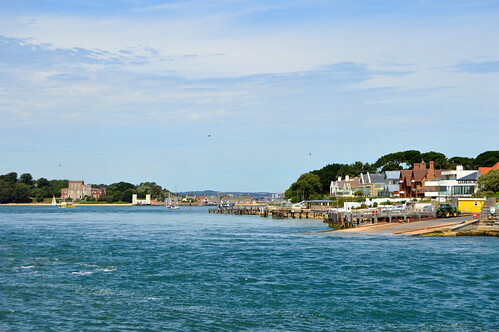 You can hop off the boat and visit Poole and take the next boat back to Swanage, but Poole is quite a large town so we just wouldn’t have had enough time to visit it. The boat trip lasts about 2 hours and 15 minutes and we enjoyed it thoroughly. 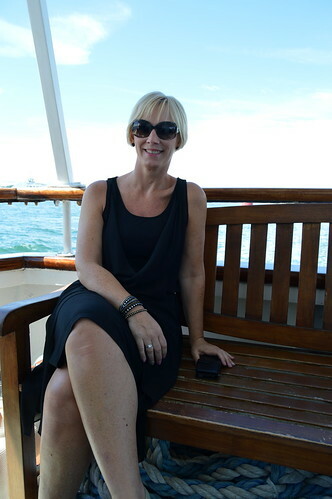 It is a calm way to see the coastline and we could soak up some sun in the meantime! So for people who are on a tight schedule and still want to see a bit of the Jurassic Coast, I’d say this is the perfect way to do it! 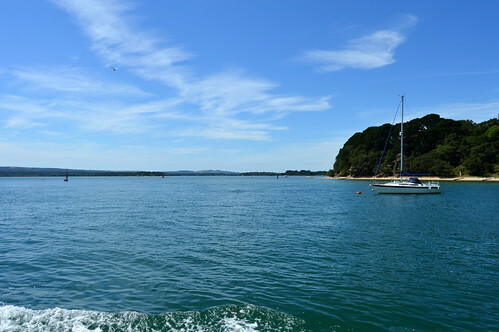 PS: do scroll all the way down for more lovely pics of our boat trip! 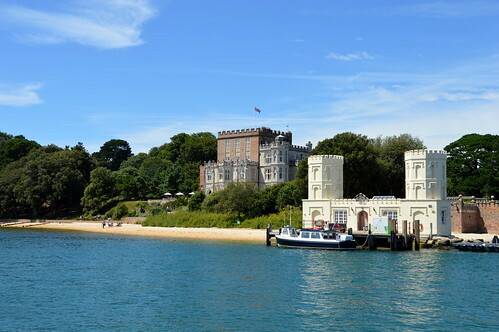 Brownsea Island with Brownsea Castle. 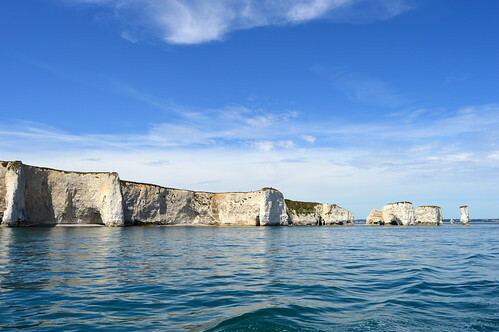 This entry was posted in England, Travel and tagged boattrip, dorset, england, jurassic coast, poole, Poole City Cruises, swanage, Travel. Stunning photos. It looks like you had a fabulous trip! Beautiful shots! 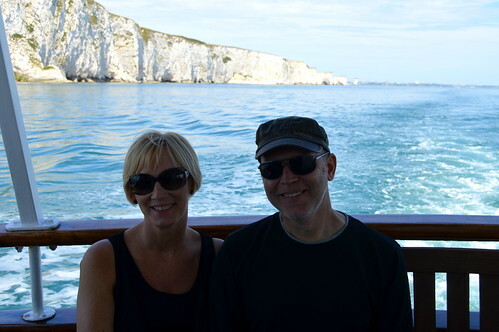 This was our first time to Dorset too – we visited Durdle Door and Lulworth Cove. The scenery was just spectacular, I did blog about it. The history in the area was quite fascinating. Stunning! A side of the UK you don’t get to see that often, but obviously very beautiful. Such beautiful pictures! I often visit the Jurassic coast for a break but have only been to the Devon part. 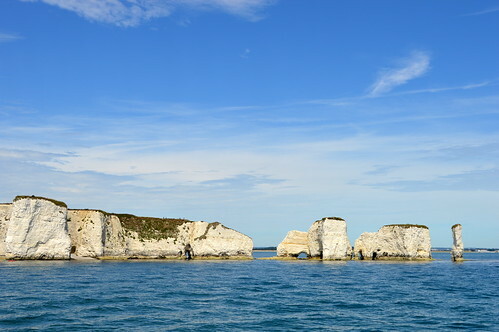 Would love to explore Dorset it looks so pretty! That must be on your list for your next trip to the coast then 😉 Thanks for your comment Gemma and enjoy your Thursday!